Easy living awaits in this well maintaine Lakefront condo. As you enter your new Florida home your eyes will immediately be drawn to the tranquil unrestricted water views provided by the triple glass sliding doors. The master bedroom shares these same views thru a wall of windows that flood the home with natural light. The lanai SW exposure boasts amazing sunsets-yours to enjoy. Notable features include ceiling fans throughout a large master bath with tiled easy access shower stall & walk-in closet. The eat-in kitchen offers a full appliance pkg. & recently added additional cabinetry & counter space. Recent upgrades include newer paint throughout new dishwasher & BRAND NEW A/C & WATER HEATER IN 2018 a substantial savings for you. If fishing or kayaks are your pleasure North Shore condos feature lake access & fishing pier. Enjoy walking, thereâs a walking path surrounding the lake front community. Donât forget golf! North Shore is located next to the Kingsway Golf Club one of many nearby courses. North Shore owners enjoy affordable maintenance fees that include water & sewer. The community of Lake Suzy is comprised of affordable condos alongside custom golf course & lakefront homes. Owning in North Shore affords you the same lifestyle in the same community at a fraction of the cost of neighboring homes. 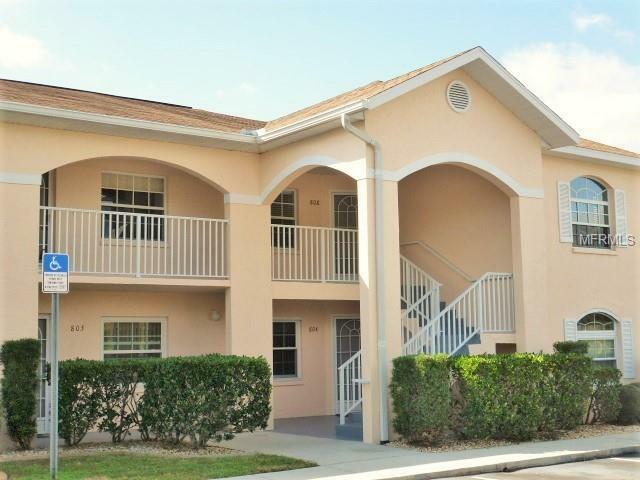 Situated midway between Sarasota & Naples, 15 minutes to Punta Gorda, convenient to I-75 restaurants & shopping, Lake Suzy offers everything you need in a quiet setting away from the crowds.